This entry was posted on Thursday, April 7th, 2016 at 9:30 am and is filed under simple pleasures. You can follow any responses to this entry through the RSS 2.0 feed. Both comments and pings are currently closed. 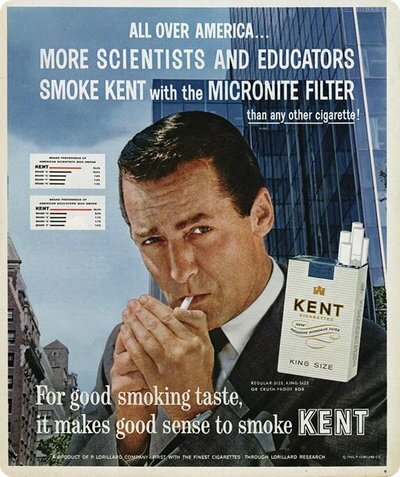 Now I have to find one where doctors recommend a certain brand of cigarette. Dentists got into the act too. 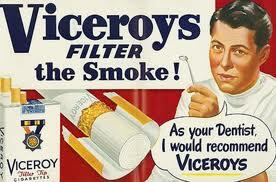 Yup – they preferred Viceroys. Scientists and educators disagree, however. I might have to post this on my site now. I remember the Cream of Wheat ads. I actually like Cream of Wheat. We have some old Good Housekeeping magazines from pre-WWII. They extol the wonders of asbestos roofing and lead-based paint. Oh, and I want the International Harvester fridge. I think my mom might have had one of those! Bet that Electrolux still works! Advertisers always seem to invent the worst neologisms.